Queens is a part of New York that has a mixture of both old and new buildings so there is always some type of construction going on. Between building repairs, renovations, and new construction there is always construction waste that needs to be cleaned up on both an ongoing basis and post construction. Some construction projects can take a few days or weeks and others can go on for years. During the construction project there may be old insulation or roofing tiles that may need to be removed, or remnants of lumber, insulation, roofing materials and other waste that gets toss around the site leaving the site a mess and posing certain hazards. When there is an ongoing construction project the ongoing waste from the project needs to be cleaned up on an ongoing basis. Having a reliable junk removal company to remove that waste on a continual basis will help keep the construction site neat and less hazardous. After the construction is completed and the construction company has left there is certain clean up that needs to be done to make the building ready for habitation. This type of clean up includes removing any last minute waste, dusting off walls, windowsills, mirrors, fans , lights and sweeping and mopping up the floor. 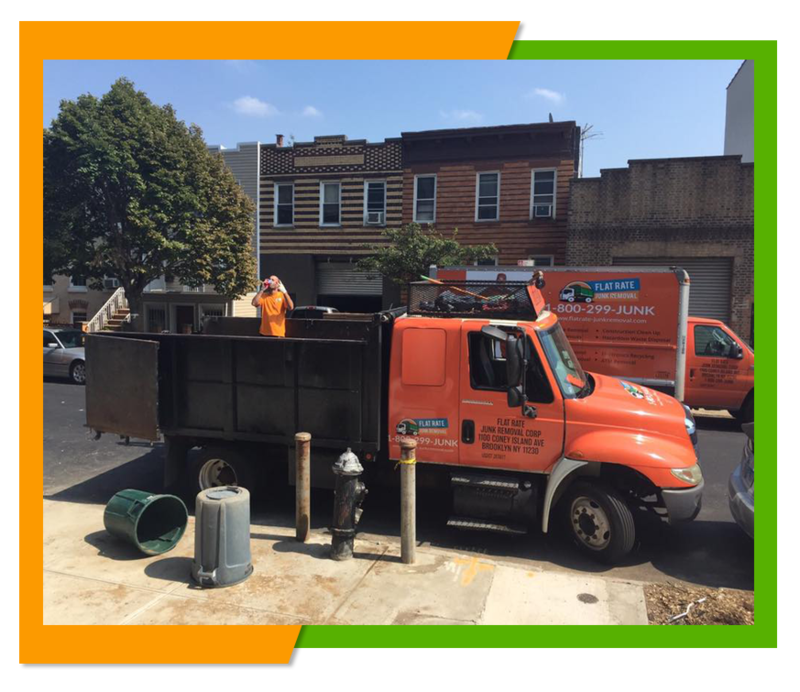 Here at Flat Rate Junk Removal we offer both ongoing and post construction clean up services making it more convenient for you to take care of all of your construction clean up needs by dealing with one company instead of two. We will happy to come out and look at your project and give you an estimate that will cover all of the construction cleanup costs. Knowing the cost upfront will help you keep within your construction budget while getting all the clean up services you need. Just give us a call to schedule ongoing cleanup for your project and we will take care of everything else. You won't have to lift a finger during the clean up portion of your project we will do all the clean up and get rid of the waste. We charge a flat rate so you will never find any unexpected charges on your bill, you know right up front the entire cost of the clean up. If you are starting a new construction project or tackling a major construction repair or renovation and would like an estimate for that construction cleanup we would be more than happy to send out someone to look over the job and give you an estimate based on your specific needs so you can decide whether or not our clean up services are right for you. 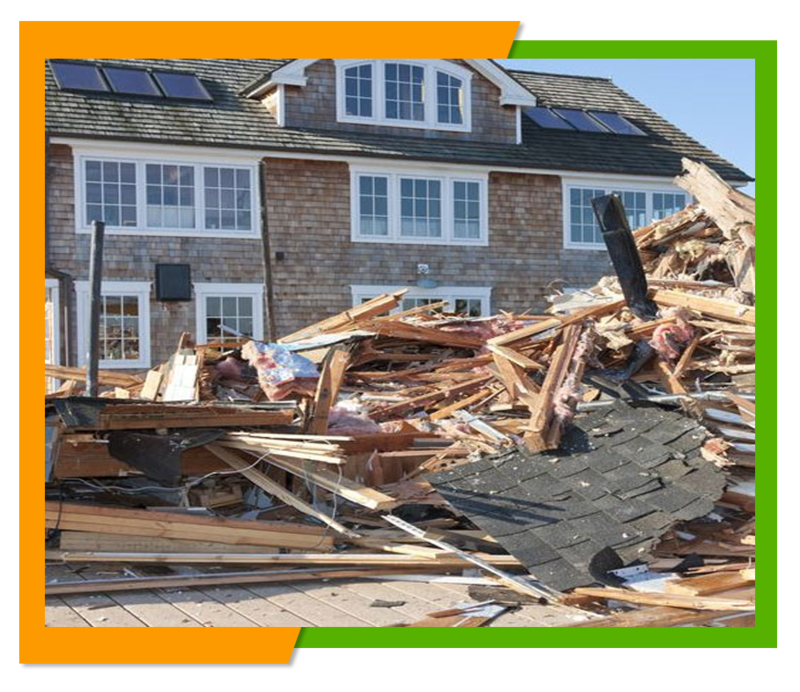 To schedule a free estimate, a construction clean up or simply to gain more information either contact us right here on our website at www.flatrate-junkremoval.com or give us a call at 1-800-299-5865 and let us know how we can be of service to you.